Prime Minister Narendra Modi is scheduled to visit three states tomorrow namely Odisha, Maharashtra and Chattisgarh as part of the election campaigns. New Delhi: Prime Minister Narendra Modi is scheduled to visit Odisha, Chhattisgarh and Maharashtra on Saturday, i.e., April 6. The Prime Minister along with BJP president Amit Shah will campaign for party candidates in Odisha on Saturday and Sunday respectively. 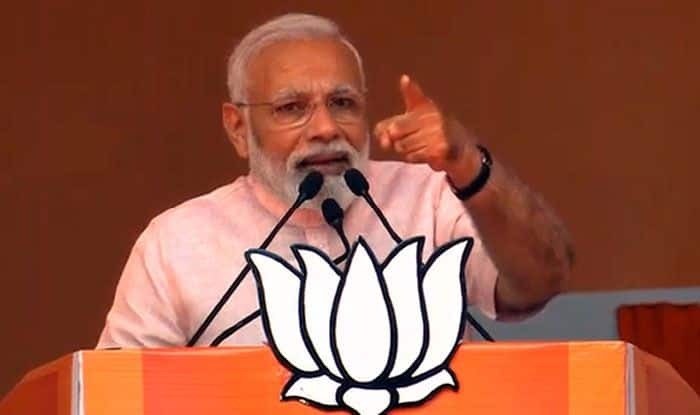 While Modi will address an election meeting in Sundargarh and Sonepur on Saturday, Shah would attend the BJP’s Vijay Sankalp Samabesh at Polsara and Bargarh on Sunday, said party sources. BJP leader and Uttar Pradesh Chief Minister Yogi Adityanath is also scheduled to attend a public meeting at Berhampur on Saturday. Modi will arrive at Balod from Sonepur town in Odisha, he added. Preparation for the programme has been completed. The programme will be attended by people from four Lok Sabha constituencies namely Kanker (ST), Durg, Mahasamund and Rajnandgaon, said the BJP leader. BJP’s candidates on these seats Mohan Mandavi (Kanker), Chunnilal Sahu (Mahasamund), Santosh Pandey (Rajnandgaon) and Vijay Baghel (Durg) will be present on the occasion, he added. The spokesperson added that after the programme, Modi will reach Raipur, from where he will leave for Maharashtra. BJP sources said Amit Shah will again campaign in Odisha on April 9. On the same day, Amit Shah is expected to take out a roadshow from Singha Dwara of Shree Jagannath Temple to Badasankha in Puri, according to party sources. The election to the 14 Lok Sabha seats and 147-member Odisha Assembly would be held in four phases starting from April 11.